Fall is one of my favorite times of year. In Florida we don’t get that crisp cool air or beautiful color change, but we do have football weekends and other fun get togethers. 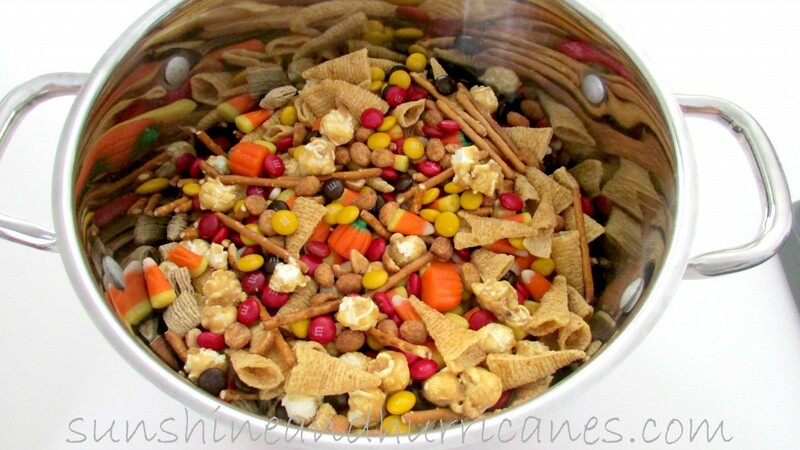 My kiddos and I created this yummy Scarecrow snack mix as a simple Fall treat to take to all these gatherings. It’s always a favorite and there are NEVER any leftovers. 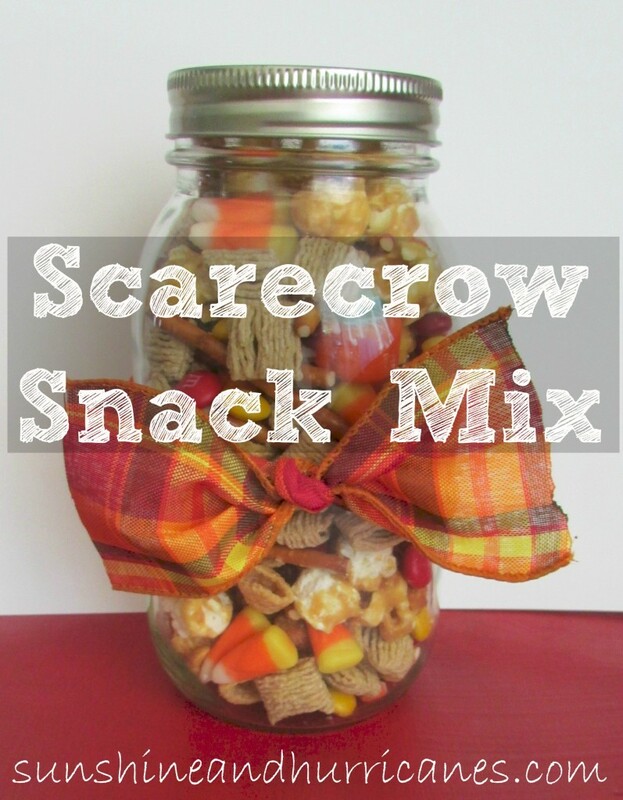 The best thing about our Scarecrow Snack Mix is it comes together in a snap! 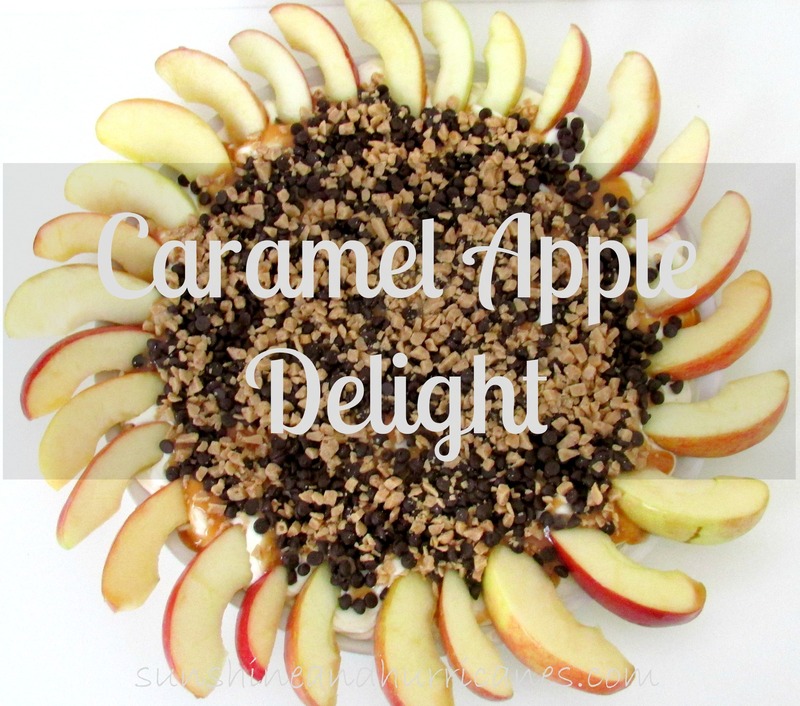 We’ve used it for a fall teacher treats, hostess gifts, Halloween classroom party favors and even as an after school snack! You can also create a bunch of different varieties based on what ingredients your family loves or what is on sale that week! 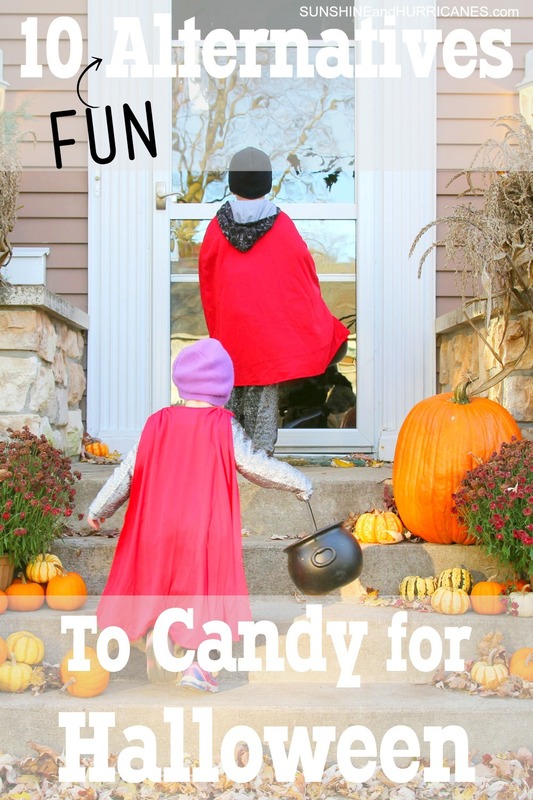 We pour everything except the candies, into the biggest bowl we can find, gently mix the ingredients together until well combined then add the candy. I’ve found if you add the candy from the outset, it all tends to just settle on the bottom and doesn’t get evenly distributed when you’re portioning it out. 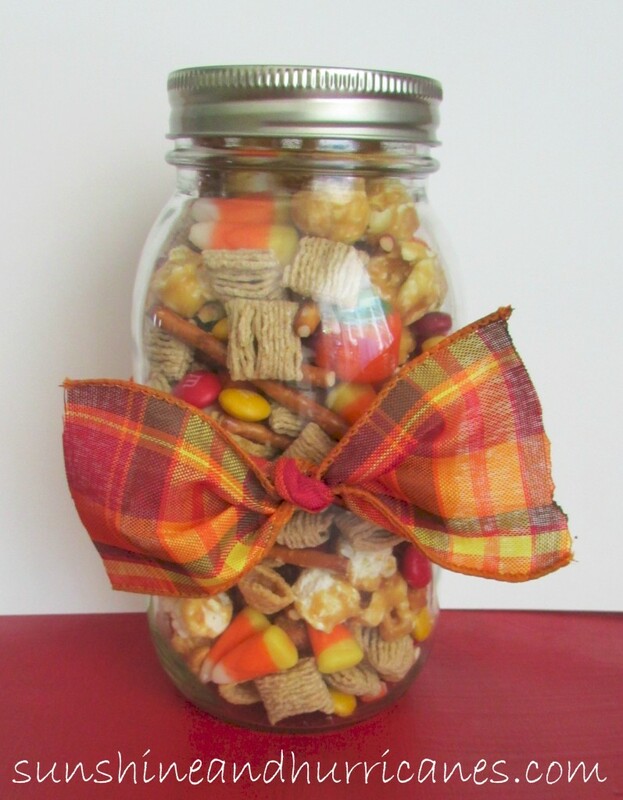 I like to add the Scarecrow mix to decorated jars or clear plastic bags and finish off with a pretty ribbon. It’s so easy to make a dozen jars of it at once and have them ready to go for the kid’s teachers, neighbors, or friends. 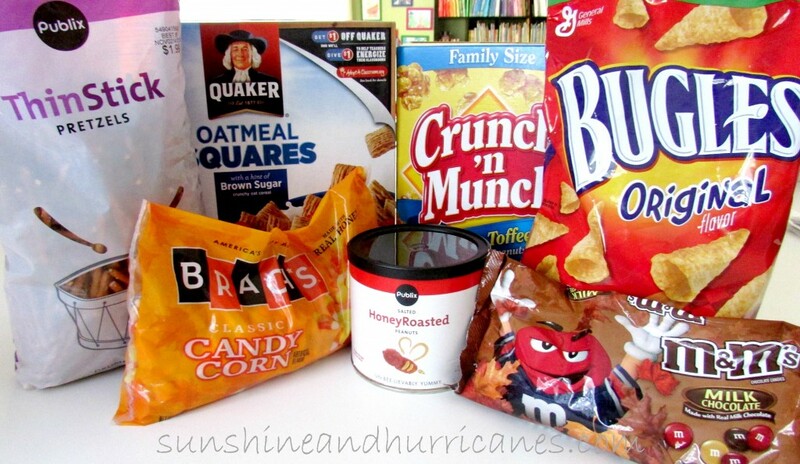 I love when I can pull a fun and thoughtful gift from the pantry when I’m short on time! Ahhhh, fall is in the air!